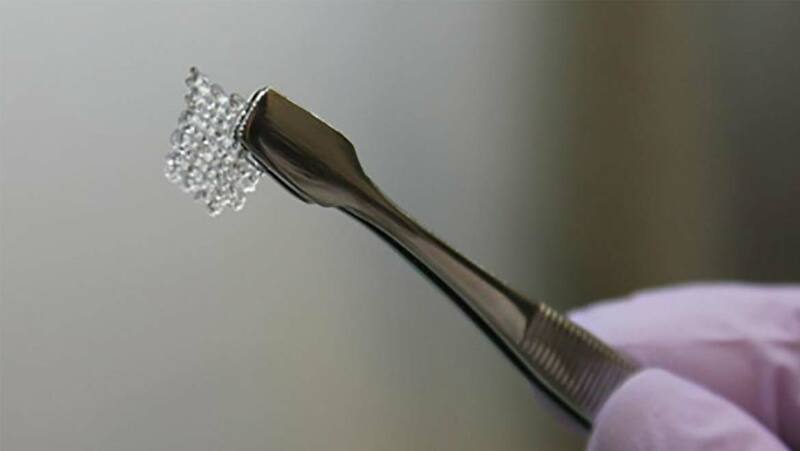 HomeCould 3D Printed Ovaries Help Restore Fertility? Could 3D Printed Ovaries Help Restore Fertility? An all-female team of scientists have just created the first 3D printed ovary, in a first step towards a potential method of restoring fertility in young cancer patients. These cancer patients have had their fertility compromised by treatments they received either as children, or adults. The idea is to provide them with a bioprosthetic ovary which restores both correct hormone levels and fertility, allowing them to have children. The team, from the Northwestern University Feinberg School of Medicine and McCormick School of Engineering, had quite a challenge on their hands. Firstly, the team had to design a structure for their artificial ovary. Whilst work in this field has been completed before, what sets this study apart is the design of the scaffolding structure along with the ‘ink’ used to print the 3D model. In order to maintain the spherical shape of a follicle, which is critical to the survival of an egg, the team knew that they had to create a 3D structure, or scaffold, that closely resembled the real thing. The shape or this scaffold, and the pores on its surface, determine how successfully the egg cells within will mature and ultimately, ovulate. Their design, outlined in the journal Nature Communications involved significant research into the interaction between follicles and the scaffold which supports them in order to optimize follicular survival. "Most hydrogels are very weak, since they're made up of mostly water, and will often collapse on themselves. But we found a gelatin temperature that allows it to be self-supporting, not collapse, and lead to building multiple layers. No one else has been able to print gelatin with such well-defined and self-supported geometry." Once the team had decided on the structure and material for their ovary, the next stage of their research could begin. This involved the surgical removal of ovaries in mice, replacing it with the bioprosthetic ovary. The mice were then mated with males who had previously sired litters successfully. Out of seven female mice, three had pups as a result of eggs released from the implanted ovary. The mothers also lactated and the pups were sustained by this milk, indicating sufficient hormone production to trigger lactation. Whilst far more research is needed in order to clarify whether this approach will work in humans, this research represents the first steps towards providing an ovary of the future.